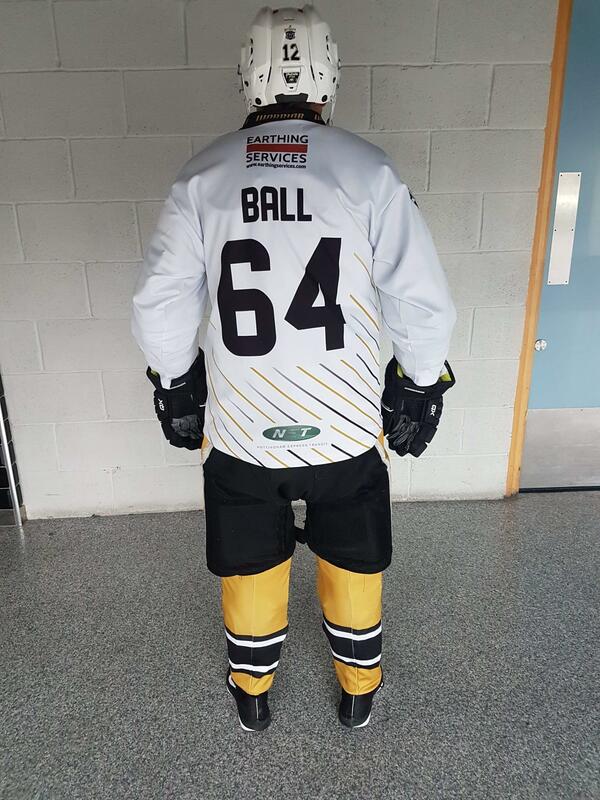 Nottingham Panthers fan Andy Ball, will this April be taking on the London Marathon and trying to break a Guinness World Record in the process as he runs it in full Ice Hockey kit (minus the Ice Skates). An avid runner, Andy has taken on the London Marathon fourteen times previously, however he has never ran the marathon in “fancy dress” preferring to stick with the more comfortable conventional running gear. “I take my hat off to people who run in heavy costumes, so I thought it’s about time I gave it a go for my 15th, and probably my last, London Marathon.” Andy has not only plunged into the marathon wearing a heavy costume but he has done so with the intention of breaking a Guinness World Record that has stood for 6 years. In 2012, Canadian Paul Statchuk, ran the Scotiabank Toronto Waterfront Marathon in a time of 4 hours 8 minutes and 43 seconds, wearing full Toronto Maple Leafs Ice Hockey kit. Andy hopes to beat this record at the London Marathon dressed fully in his beloved Nottingham Panthers kit, with a marathon personal best of 2 hours 46 minutes out of costume, Andy is confident he can beat the 2012 record. Not only will Andy be taking on the London Marathon and hoping to walk away with a new Guinness World Record but he is also hoping to raise invaluable support and funding for Autism East Midlands, the largest autism specific charity in the East Midlands. Andy, a season ticket holder at the Nottingham Panthers, chose Autism East Midlands because the charity has been the Ice Hockey clubs Charity of the Year this season. He had been inspired by news of the charities work through his connection with the Nottingham Panthers and felt motivated to help the charity to continue providing support to autistic individuals and their families. Andy is hoping that the big following of Nottingham Panthers will also be inspired by the clubs chosen charity and will dig deep to support his bid to raise invaluable funds for Autism East Midlands. Training for the London Marathon is a long and strenuous exercise, an exercise made harder when that training involves getting use to the weight of Ice Hockey Kit as well as the way it can limit full movement. 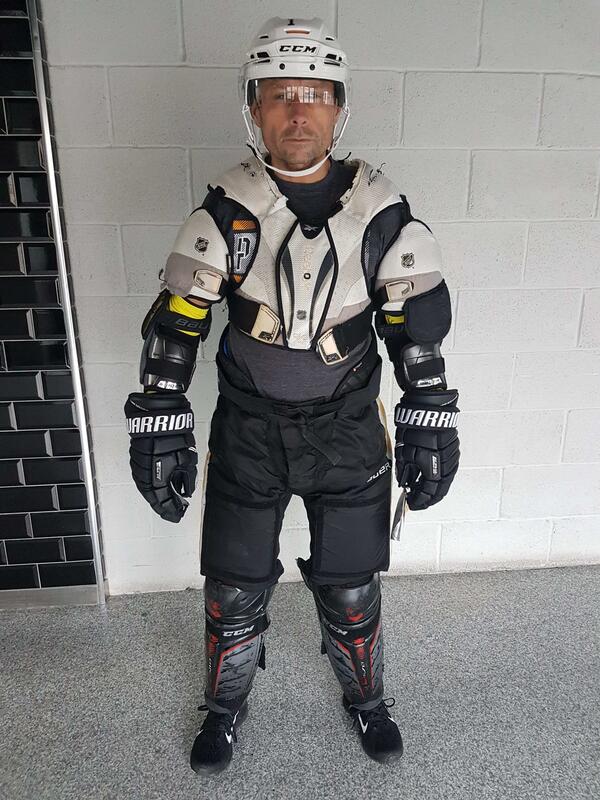 Andy’s current training is slowly ramping up, in October he took on the Leicester half marathon however this was not in Ice Hockey kit. The Ice Hockey Kits first official outing will be at a 20 mile race starting and finishing at Nottingham’s National Water Sports Centre, on Sunday 17th March, so get down to this event and support Andy during his run. 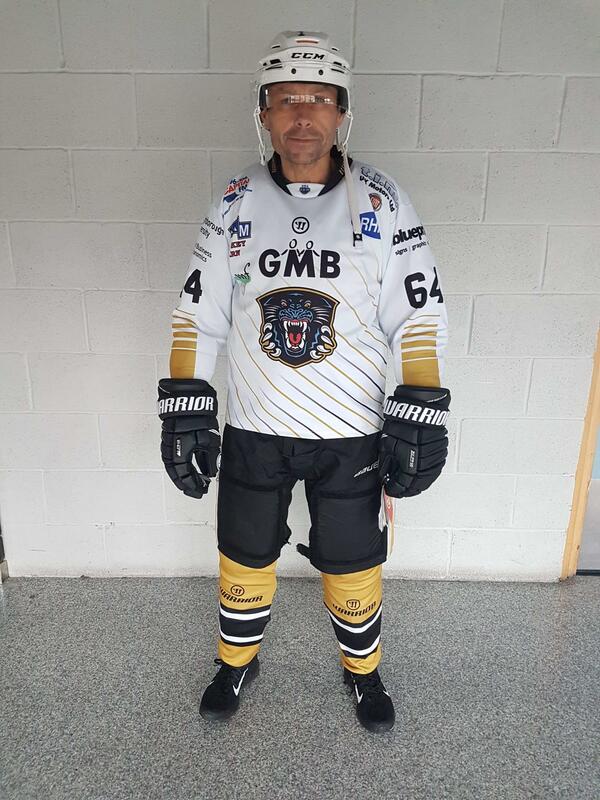 Andy would like to thank the Nottingham Panthers for all of their support as well as Warrior Hockey UK who have provided him the Hockey Kit to run in. Finally he would also like to thank Autism East Midlands for all of their support to help him fundraise for them and for of course providing him with a place at this year’s London Marathon.